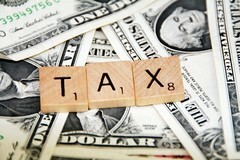 I have had many requests from newer event planners about business taxes and deductions. This is certainly not my area of expertise but I can give a few basic tips and the resources you can go to for help. 1. Mileage and Travel – The government allows you to write off a certain amount per each mile that you travel for your business. You can deduct mileage for travel to business meetings, client meetings, educational conferences, classes, your client’s events and networking events. You can also deduct airfare, cab fare, rental cars and lodging for business travel. 2. Education – You can deduct the expenses for anything related to your event planning education including business books, e-books, workshops, mentoring, coaching, industry conferences and business classes. 3. Home Office – You can write off the expenses for the percentage of your home used exclusively for business. Many planners have a home office that can be considered a deduction if you use it exclusively for your event planning business. 4. Meals and Entertainment – When you meet with clients or vendors, you can deduct 50% of the cost of your meal. You can take the same deduction for travel and entertainment expenses when you are traveling for events or conferences. 5. Overhead – You can deduct the cost of business overhead items such as insurance, phone, postage, internet service, printer, iPad, computer, etc. You can also deduct the cost of your office supplies such as paper, pens, binders, printer ink, notepads, etc. 6. Marketing and Advertising – Items such as your website, domain hosting, graphic design services, search engine optimization, online ads, print advertising, photo shoot materials and bridal shows are common marketing expenses that can be deducted. Your marketing materials such as business cards are also tax-deductible expenses. I cannot stress enough how important it is to hire a tax professional if you aren’t experienced in business taxes and deductions. The laws change each year which makes it even more complicated to know what you can deduct and what you can’t. The IRS website has great information about business tax basics to help you learn. Great tips. My undergrad degree is in business, but hiring an accountant has made things so much easier.